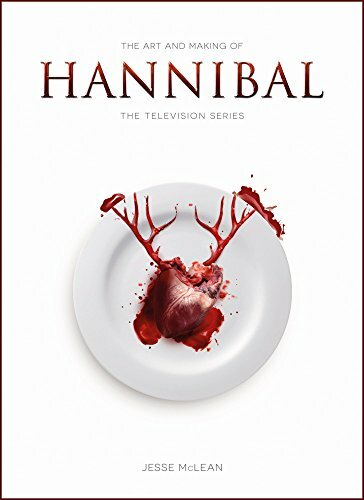 Fans who want to know more and go behind the scenes of Hannibal television series will be delighted with this book. The Art and Making of Hannibal looks at the production of the series from conceptualisation to the detailed analysis of the characters and stories. The artworks are mainly concepts of the murders, 3D visualisations of rooms (e.g. Hannibal's office), sketches of dishes by Hannibal and that's about all. Really not too much. There are lots of behind-the-scenes photographs that show how the props are made, or scenes are staged. Some photos are pretty gruesome even though you know that they are prosthetics and effects. The insightful writeup goes further to explain the characters and stories, and that's easily the highlight of this book. You'll get a glimpse into the minds of the characters and also producers and writers of the show. The book covers up to season 2. Highly recommended for the fans.